We’re delighted to welcome Starwood Hotels & Resorts to Jobs Expo 2015. 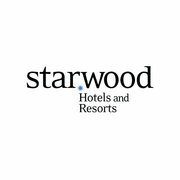 Starwood Hotels & Resorts Worldwide, Inc. is one of the leading hotel and leisure companies in the world with more than 1,200 properties in some 100 countries and over 180,000 employees at its owned and managed properties. Starwood is a fully integrated owner, operator and franchisor of hotels, resorts and residences with the following internationally renowned brands: St. Regis®, The Luxury Collection®, W®, Westin®, Le Méridien®, Sheraton®, Four Points® by Sheraton, Aloft®, element®, and the recently introduced Tribute PortfolioTM. The Company boasts one of the industry’s leading loyalty programs, Starwood Preferred Guest (SPG ®), allowing members to earn and redeem points for room stays, room upgrades and flights, with no blackout dates. Visit Starwood’s website to find out more.